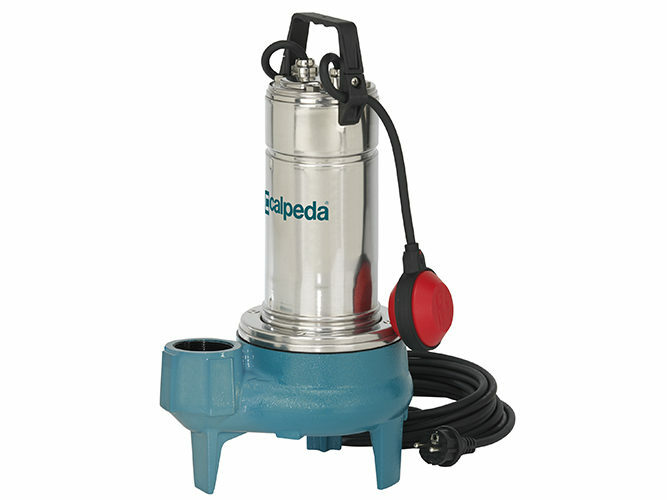 A new type of drainage pump, ideal for dirty water with short-fibre solids, is now available from our range of products. The new GQN 50 range completes the GQ family of drainage pumps, in particular alongside the GQS 50 and GQV 50 models which, being equipped with a free-flow or vortex impeller, are instead suitable for dirty water with long-fibre solids. The main characteristic of the GQN 50 pump is that it has a two-channel impeller that allows the passage of solids up to a diameter of 50 mm. The union of this element with the production regulations of the GQ pump family makes the new range a very interesting technical development for the drainage pump sector. A single-channel impeller, like that of the GMC 50, needs a very strong structure to support vibrations. Thanks to the optimal balance guaranteed by the two-channel impeller, the GQN models instead have a slim structure, so they are also economically more advantageous. motor, available both single phase and three-phase, equipped with a built-in capacitor that can be inspected, with thermal protection and built-in float switch. The G2ISO 228 delivery port of the new GQN range faces upwards, so the models can be installed in small wells without requiring a pump bend for the pump. Finally, GQN pumps are available with a head of 16 metres and a flow rate of 800 litres per minute.